The North East weather has certainly taken a turn for the worse now we’re officially into Winter. 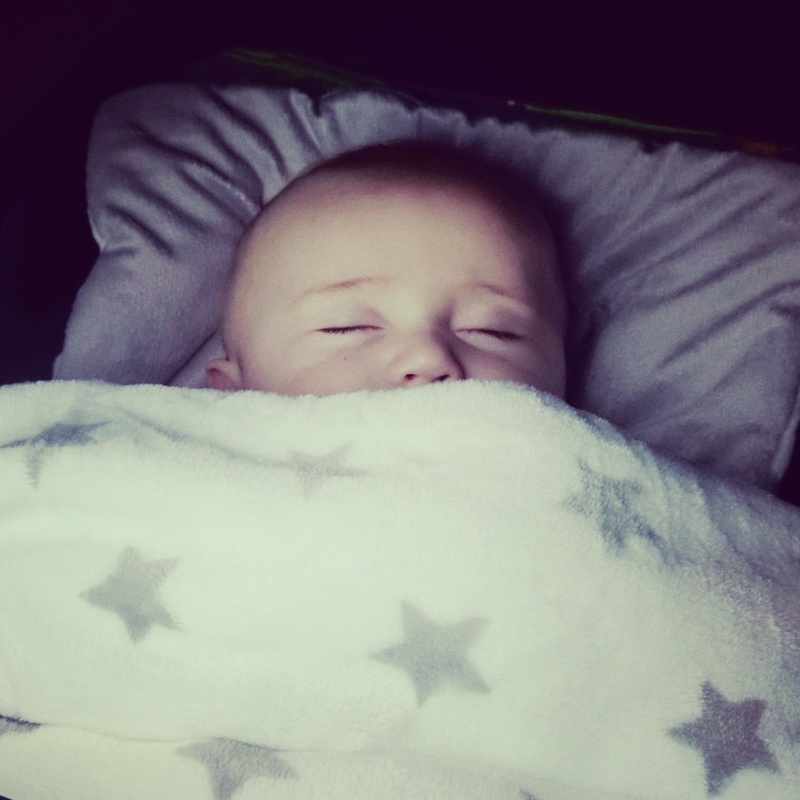 No danger of snow just yet but we have had some horrendous wet and windy conditions – not pleasant for Mummy pushing the stroller but lovely for Jake now that we’ve got a Babybundle SnuggleToes footmuff. I’m a little disappointed that the SnuggleToes doesn’t come in adult size for cosying up on the sofa with. It’s sooooo soft! The strokeable fleecy material feels so luxurious and it’s thick enough to keep out the coldest of winter winds. 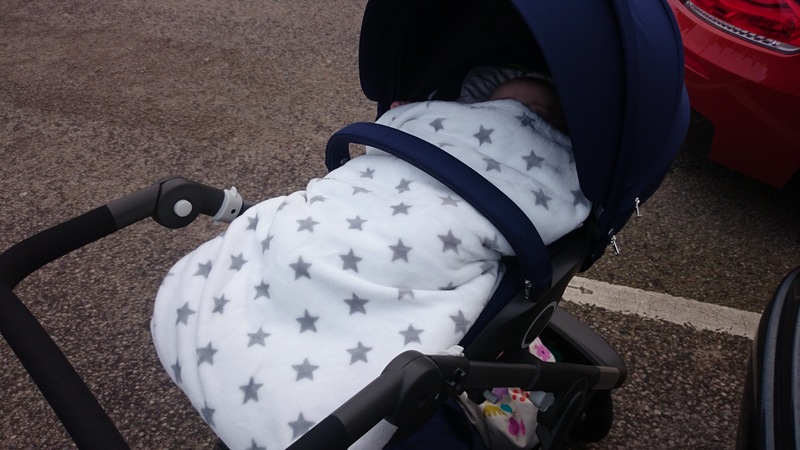 The SnuggleToes works as a full footmuff with an apron cover that comes all the way up to baby’s chest, but you can also easily unzip the cover on a rare milder day or when indoors, leaving the bottom half as a lovely pushchair liner for constant comfort. 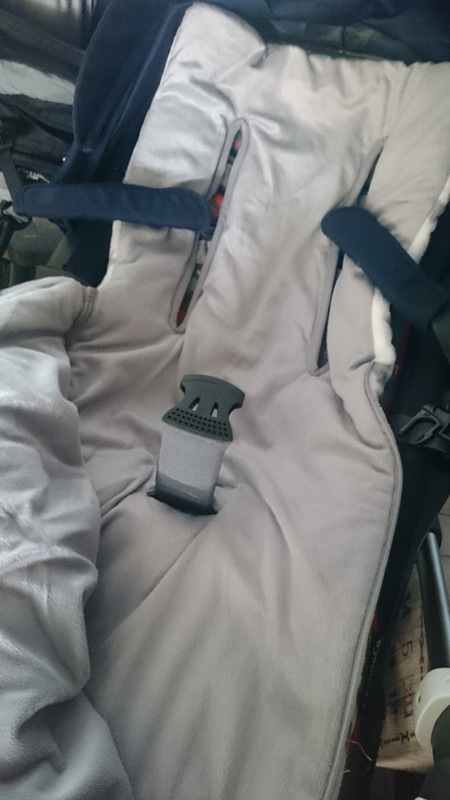 It is designed for a universal fit for pushchairs, car seats and travel systems with three or five point harnesses and it fits our Stokke stroller seat perfectly. I love the gorgeous gender-neutral silver star print on the outside, and the sophisticated matching silver on the inside. It would coordinate beautifully with almost any colour of pushchair. Handily, it’s also machine washable at 40 degrees, so don’t worry about the inevitable spills! He may not be able to talk yet but I know Jake absolutely loves being snuggled up inside the SnuggleToes. He grabs hold of the top of it with his little hands like a security blanket, and I don’t have to worry about fibres coming loose when he shoves it in his mouth. I’ve also got the piece of mind that he’s protected from the elements when he needs to be but that it’s easy to adjust his covers so he doesn’t overheat. It is recommended for use from 6 months but Jake is very big for his age at 4 months so I haven’t worried about him getting too lost in there! 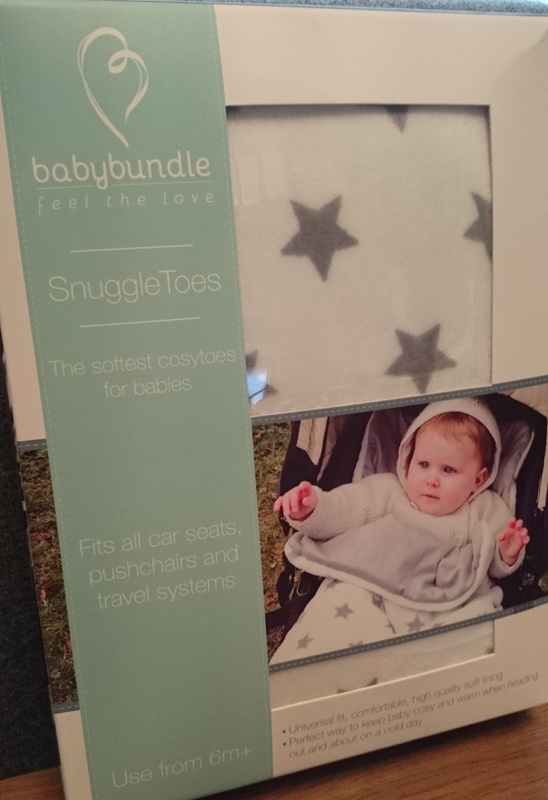 You can buy your own SnuggleToes for £29.99 from the Babybundle website and have a look at their range of other gorgeous products too. If you’re feeling lucky, you can enter our giveaway to win a Babybundle SnuggleToes before the weather gets too bad! 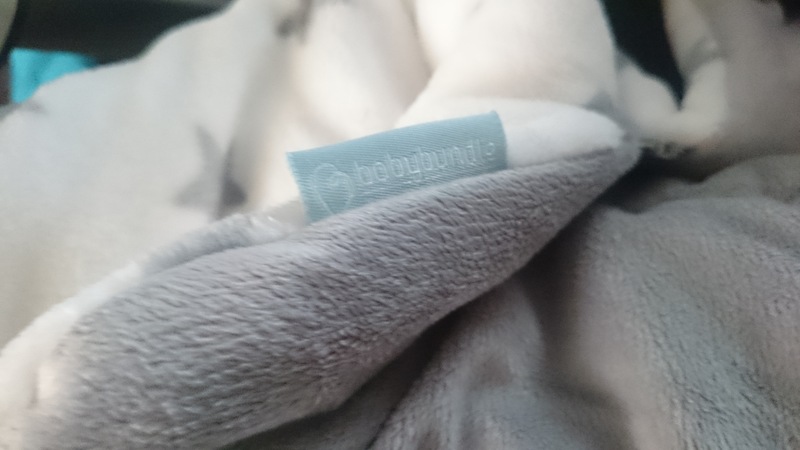 I was sent a Babybundle SnuggleToes free of charge for the purpose of this review. All opinions of the product are my own.